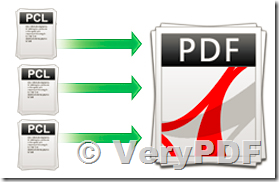 ← How to use Online PDF DRM Security to protect and share your PDF, Word, Excel, and PowerPoint documents online? We use the VeryPDF PCL Converter v2.7 pcltool.exe Command Line Option. If pcltool.exe is passed an option that is not correct, then it will display all the syntax documentation and then wait showing the message "Press any key to continue...". If a another user or program calls pcltool.exe on the same server and a key has not been pressed on the first instance then it will hang up and show the message " [Port= 61111] There has one instance is converting, we have to wait at here." I can see multiple "pcltool.exe *32" instances under Task Manager that are waiting for the first pcltool.exe to have any key pressed and finish. I need a way to pass an option to pcltool.exe that will suppress or turn off the "Press any key to continue..." and the requirement that a key be pressed. This might be referred to as quiet mode or silent mode. This situation happens in the sever environment when multiple user are on the server using pcltool.exe or a program calls pcltool.exe for multiple conversions. We have seen this hang up situation multiple times during testing and I will not be able to move PCL Converter to the production environment until we have a way to turn off the requirement that a key be pressed when a syntax error is detected. NOTE: I did try to solve this myself by adding the parameter "> nul" at the end of the command line to have a silent switch to hide all the messages being written to the console, but while it did suppress the messages from a syntax error it Did Not eliminate the need to press any key to continue, so it still hung up an subsequent pcltool.exe instances that were run afterwards and waiting for a key to be pressed on the first instance. Can you work fine with above command line in your system? This did not answer the question. I will try to rephrase and give you my main concerns. Please also review the original question. I do understand what the correct syntax is and have gotten many test conversions to run. 1) My main question (please see original question) was how do we suppress the wait prompt "Press any key to continue..." after pcltool.exe is run and happens to have incorrect syntax? This pausing causes all other runs of pcltool.exe to hang up and wait on the first instance to finish. This issue came up for us when multiple developers were testing on the Test server. If one developer made a syntax mistakes in calling pcltool.exe then all other developers could not run their conversion since the first one hung up. Also in some cases the command prompt screen may be hidden when pcltool.exe is run from another bat file, so there is no screen to hit a key on to continue and the pcltool.exe process must be purged out with Task Manager. Some other products we tested allowed the PCL converter tool to run silently without waiting for input from the user, so how do we do this with the VeryPDF product? 2) We cannot get PCL Converter to run more than one conversion at a time on the server. If one instance of PCL Converter is running on the server then all other instances have to wait and run in single file. We expected that the server version would allow concurrent running. We saw an article in the knowledge base that said PCL Converter supports concurrent conversion, but it does not work for us. Some other products we tested allowed multiple instances to all run at the same time. This is especially important in the server environment. How do we run multiple instances at once on the server (concurrent conversions)? >>1) My main question (please see original question) was how do we suppress the wait prompt "Press any key to continue..." after pcltool.exe is run and happens to have incorrect syntax? This is because you have passed the wrong command line parameters to pcltool.exe application, if you pass the correct parameters to pcltool.exe, the "Press any key to continue..." message will be suppressed automatically. btw, can you please let us know what command line did you run? also, the latest version of pcltool.exe does support concurrent conversion, after you purchase the software, please send to us your Order ID, we will send the latest version to you asap, you can run it to convert more PCL files to PDF files on the fly. How to convert PCL file to PDF and TIFF files on Linux RHEL 6 server?